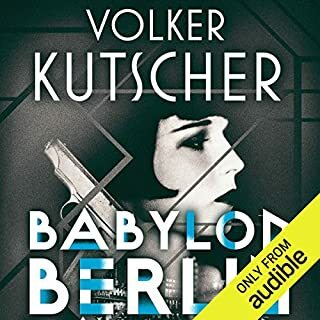 Berlin at the time of the 1936 Olympics, the growing threat of Nazism and a cynical detective investigating a double murder. 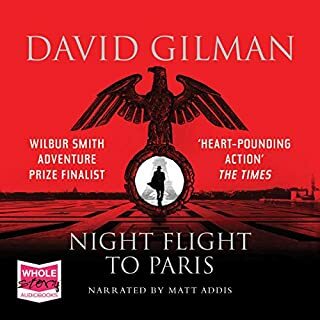 The main protagonist is narrated with a Philip Marlow-esque American accent, with all the other characters having German accents - a conceit I got to enjoy. A great detective story, enhanced with the historically interesting setting. This is the first in a series, that I'm happily working my way through. Highly recommended. 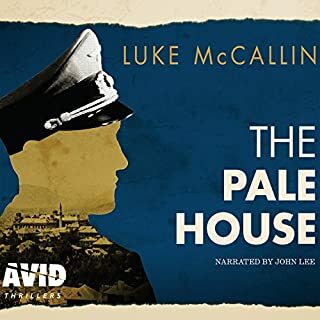 A good and very interesting story, prinicipally for the period detail of Germany in 1936. The American accent of Gunther would have been more acceptable had the other excellent voices not been in strongly accented German. The reader is ok though. Whether the Marlowesque dialogue would have been so effective in German accent is something I can't answer. 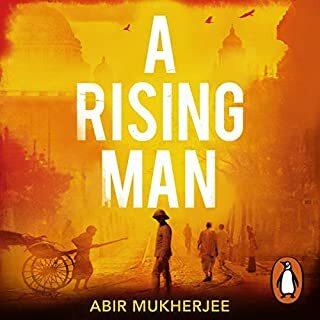 Story is a bit ponderous and over-written - constant detailed descriptions of walking across the room, opening a door, openings of letters tended to slow the story down. Kerr also likes you to know how much research he has done - and it's a lot. 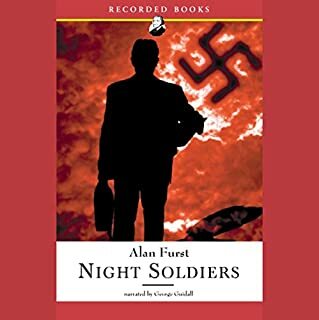 Good for it's exploration of pre-war Germany under the Nazis, bad in the exposition of hundreds of locations irrelevant to keeping the story moving. Quite witty and sharp at times but it definitely ain't classic Chandler. The template, created by Raymond Chandler, of a laconic, world-weary, former policeman turned P.I. works surprisingly well in a pre-war Berlin setting. The narration, by Jeff Harding, is excellent, with said P.I. Bernie Gunther given an American accent (the other characters having German ones) to underline his Marlowesque credentials. Highly recommended. 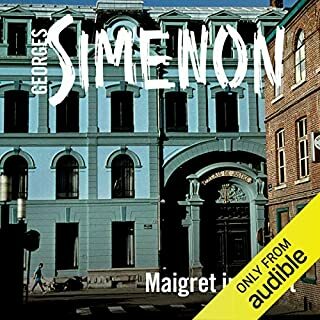 I stumbled upon this book by chance ( its the first in a very good series . 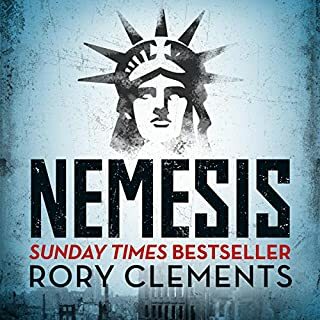 If you like well plotted, gritty and often grisly detective fiction you will love this. I was unsure at first, but was quickly drawn in, although I did have to pay close attention at first, to get used to the german names and places. 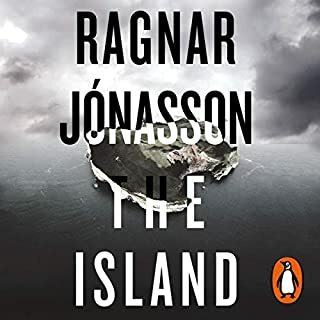 Bernie Gunther, our hero, is a cynical, hardbitten survivor, but also a man of honour and compassion, with an ey for a pretty girl.The setting provides a very different backdrop to the usual fodder, and is rich in historical detail. 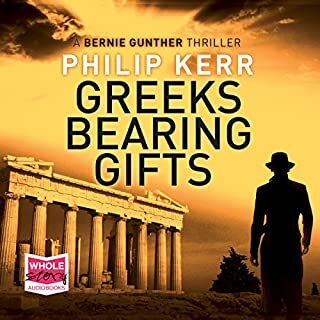 Jeff Harding's narration is as ever simply outstanding, and Philip Kerr series of Bernie Gunther novels just get better and better, I am now on #4. Highly recommended. 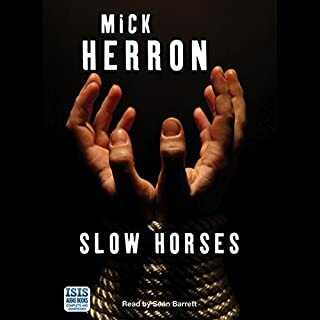 Struggled to listen to this. 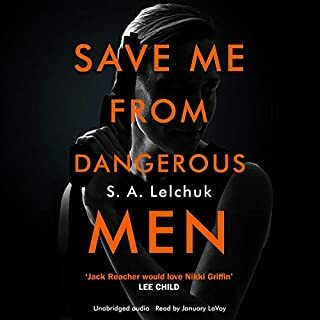 Jeff Harding is a great narrator for Jack Reacher but this is a German story and hearing it read in the same way as J.R. was just awful. 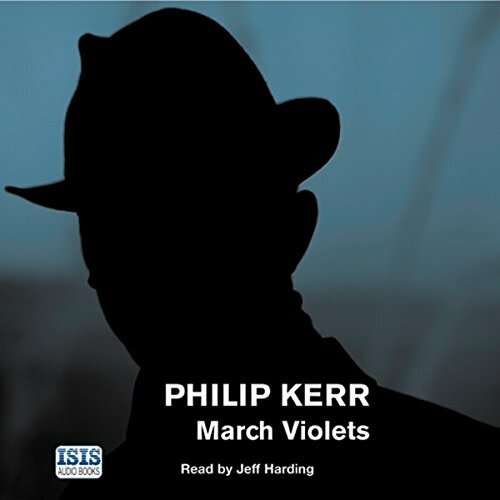 What made the experience of listening to March Violets the most enjoyable? The atmostphere, the fear, the excitement of Olympics coupled with the foreboding of were the country is going, and all the differing characters. I love his delivery, his drawl really brings Gunter to life. I'd find a different voice really strange now. Go on, give Bernie a try!!! 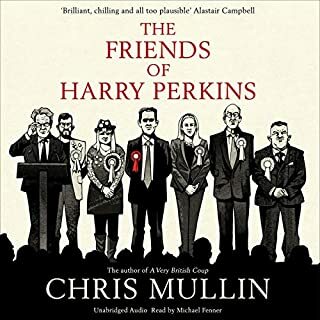 A fine private eye story in the tradition of Raymond Chandler (& Len Deighton) - though Kerr tends to overdo the wisecracks - the mixture of crime fiction and historical background works fine. Only drawback: Jeff Harding is badly in need of a German lesson - he can't pronounce the most simple street names. 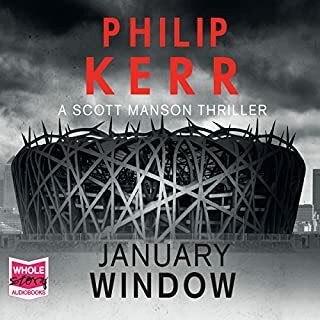 My first Philip Kerr read/listen. I enjoyed the historical setting, which seems well researched. 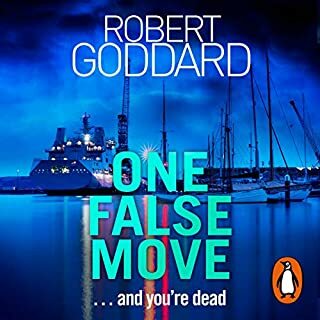 A book very much in the Philip Marlowe mould, with the cynical private eye as the main character, who has a heart of gold hidden beneath his hat and trenchcoat. Unfortunately the reading was quite grating. Jeff Harding dramatises the reading. Not my favourite approach, but not my primary point of contention. Jeff Harding is obviously American and gives his own voice to Bernhard Gunther (our private eye), but everyone else for some reason gets a fake german accent in the style of Arnold Schwarzenegger. The effect is unfortunately unintentionally comic and I had to try my best to abstract from their voices. 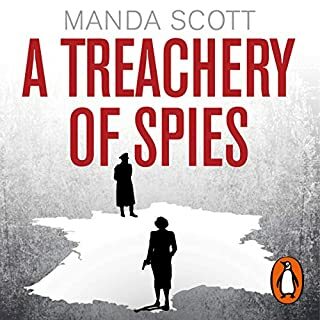 A superb and well researched detective thriller set in pre-war Germany. 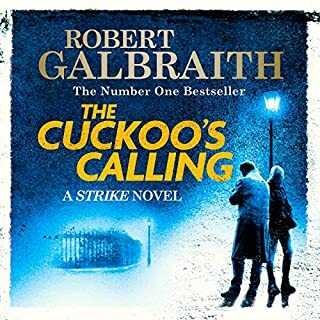 The narrator's American accent is totally implausible, however, and ruins an otherwise excellent story. Take a tip from me. 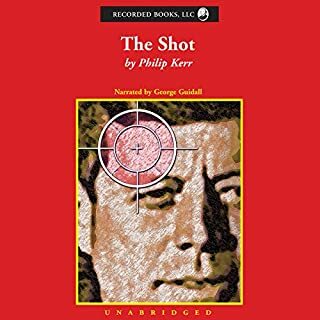 If you like Philip Kerr, do yourself a favour and read the book. An interesting premise, and a book that ought to have appealed. But, why does the main character have an American voice? At first, I thought there would be some explanation -- the hero is some sort of Rick figure who got stranded in Germany in the war, or maybe he had an American parent from whom he learned English -- but no, the story makes clear he spent his life in Germany with German parents. Not sure which is more insulting: the idea that a good person wouldn't have a German accent, or that a presumably mostly American audience can't listen to an accent for the entire length of an audio book. Recommend one read the book, not listen to it. Let your inner voice provide the appropriate voices. one ain't enough - next, please! 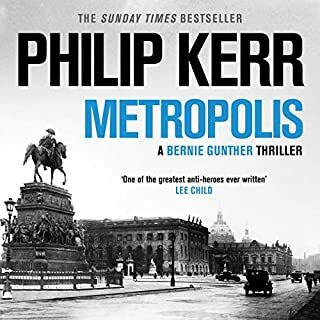 Just finishing this first of three of the series of novels by Philip Kerr - can't wait to dig into the next installment.. notwithstanding that these are rather dark but funny (but only in that 1930's bleak prewar Germany kind of funny) novels. Awful pronunciation of German words. Annoying accents and silly voices. Almost made me stop listening.